At Goa Green we love designing trips, tailor-made to all your needs and preferences. Please feel free to refer to our stories in our specialised categories called Unseen Goa and Around The Country to design your own itinerary. 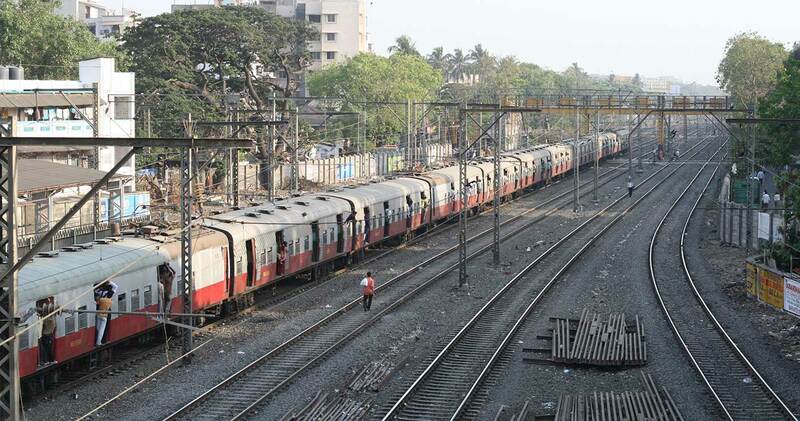 Goa green would also love to help you plan your trip around the rest of the country. 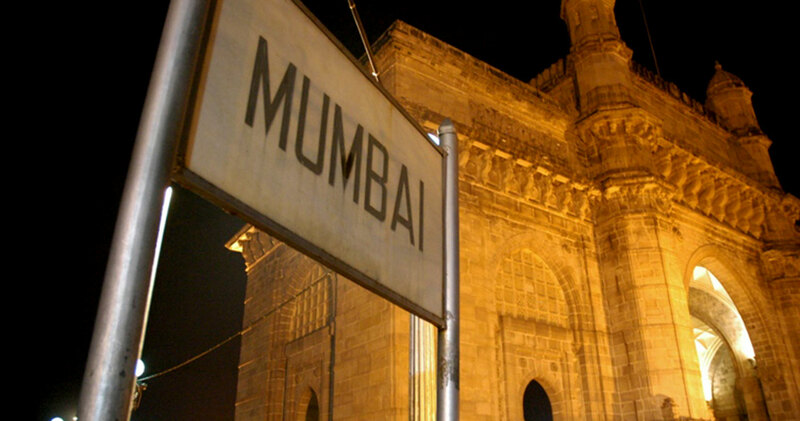 On offer are trips listed under Northern Trails, for trips around Delhi and West Winds, for trips around Mumbai. 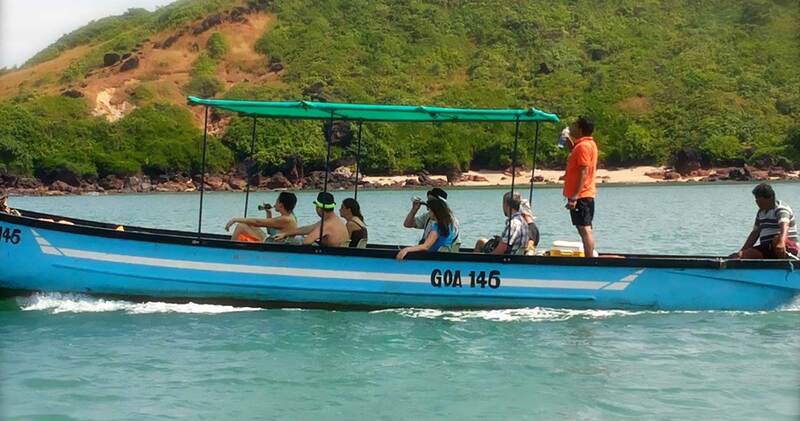 Here are a few predesigned itineraries from Goa Green to help you out. Click on any to go through them in detail. 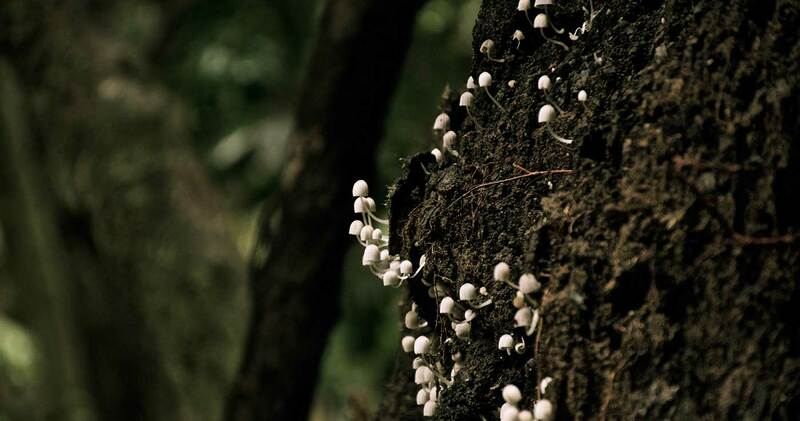 This overnight trek is an unique experience where one gets to spend a night in one of the remote villages of Goa, breathe in the fresh, be aware of the thriving minuscule around, treat ones eyes to the sights and sounds of the forest. An early morning drive to the south east of Goa to Netravali Village about 40 km from Margao, leads us to our base of the trek. 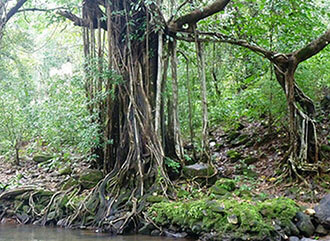 Netravali is the largest and the most recently declared Wildlife Sanctuary in Goa and is the nature enthusiasts’ heaven. 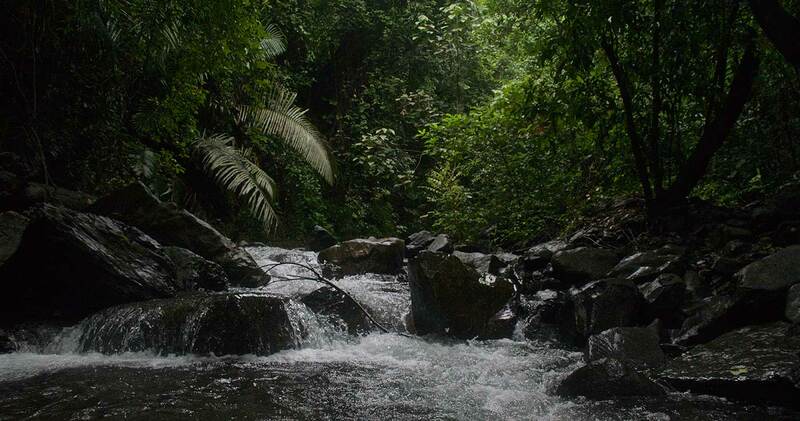 We begin this three and half hour trek through nature in its purest, reaching us to the hidden Maynapi waterfalls. Here we relax and have our packed lunch. Later a trek for another two hours to village called Saiginim, to experience a life in the remote and halt for some small refreshment. The last leg of the trek of a couple of hours take us to Verlem village, our shelter for tonight. 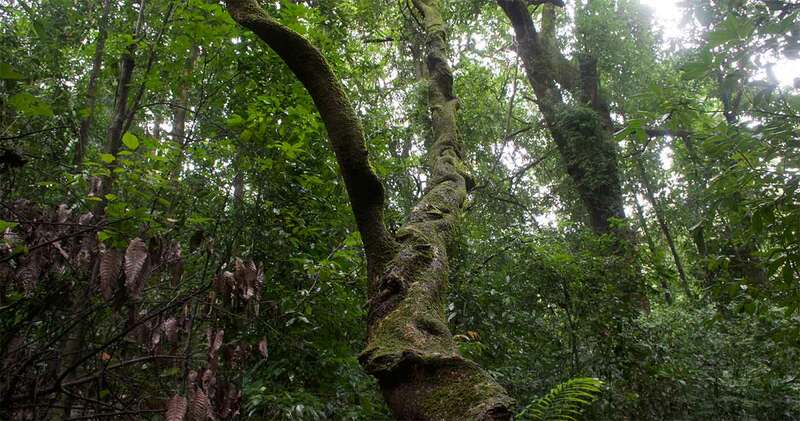 Located around 570 m above mean sea level, Verlem is a hotspot of biodiversity and a delight for wildlife enthusiasts and birders. 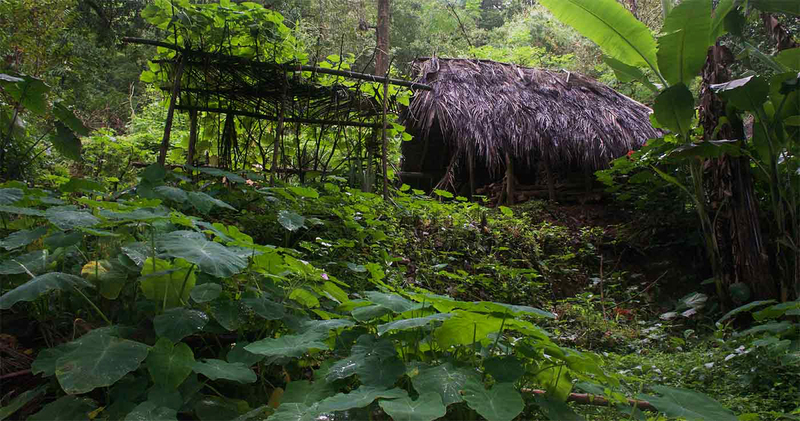 Verlem village has recently earned its name as a model for eco tourism. 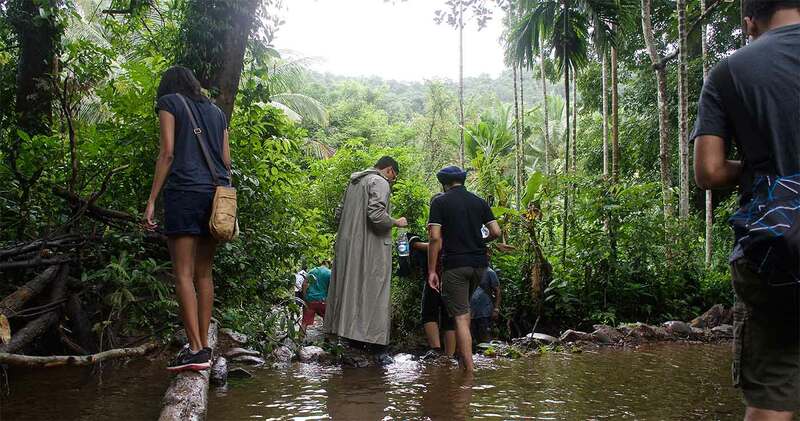 Lately after they reaped the first crop of luscious strawberry plantation, the first-ever in Goa, villagers of Verlem in Netravali wildlife sanctuary have also geared themselves up to host tourists in their humble homes as a part of community-based ecotourism project. Sleep a well earned peaceful sleep after a enjoying a tasty traditional dinner. Next morning after breakfast at the village, we trek for around 3 and half hours to another hidden waterfall called the Savari. 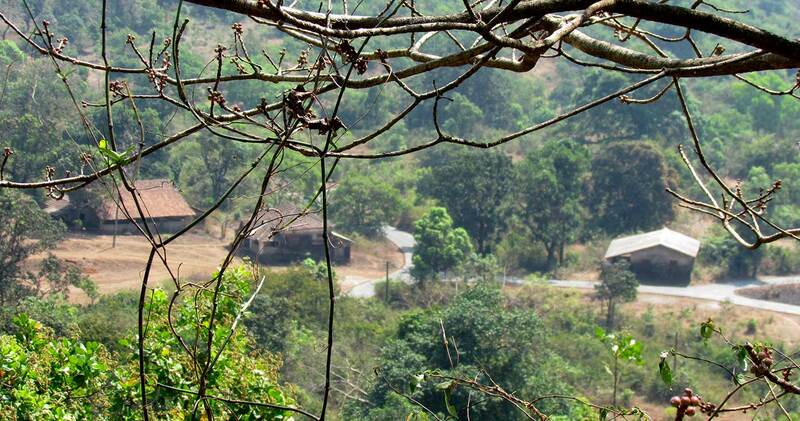 Next a trek for an hour reaches us to our base, Netravali village. From here we drive to the Tanshikar Spice farm. 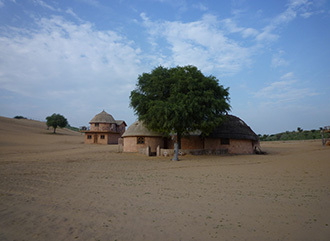 This huge farm in the lap of the Netravali Wildlife Sanctuary practice a conventional method of plantation called the Kulagar. 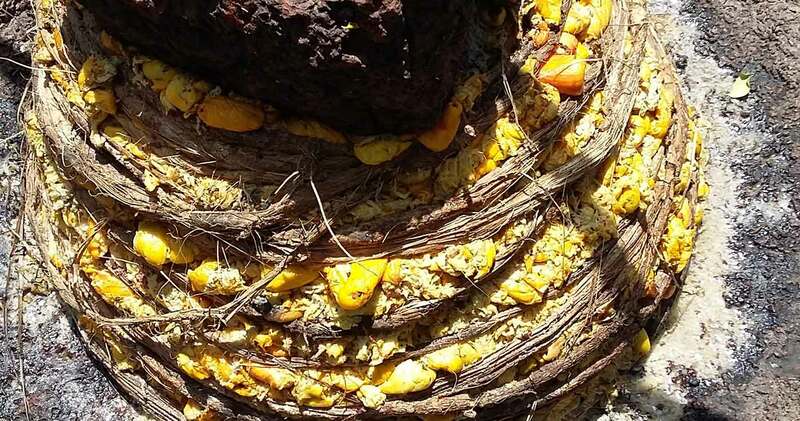 This traditional process of plantation does not support need to use any kind of chemical fertilizers at all. Enjoy a tasty traditional lunch at the farm. 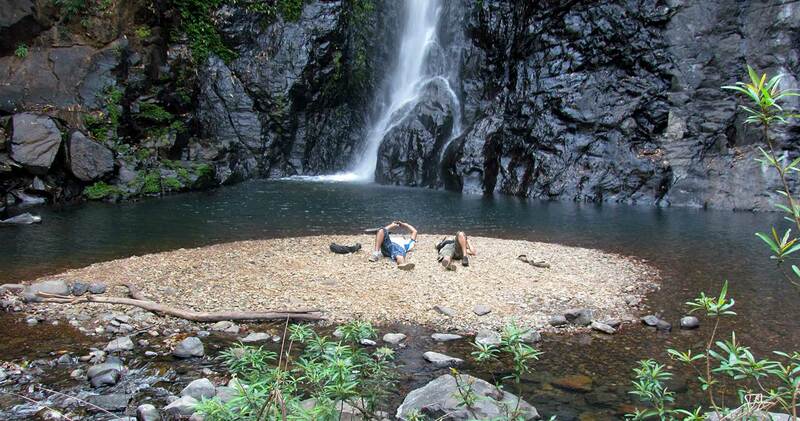 Visit the Budbudiyachi Tali or the Bubble pond which is an unique wonder of nature. Last but not the least do not miss a visit to Usgalimal, an amazing sight of one of the most ancient art forms created by the human race. Here lie more than a hundred petroglyphs dating back to as much as 20,000 to 30,000 years gone by. 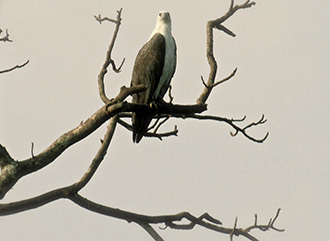 Blessed with the brilliant forests of the Western Ghats, amazing wetlands, rich mudflats and sumptuous rivers, Goa is a birdwatchers Paradise. 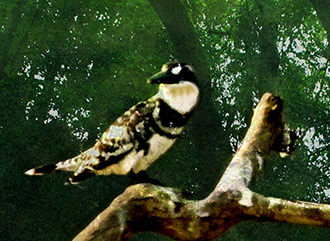 Birding in Goa offers an oppurtunity to sight an amazing diversity of resident birds and a variety of western Paleatric Species. 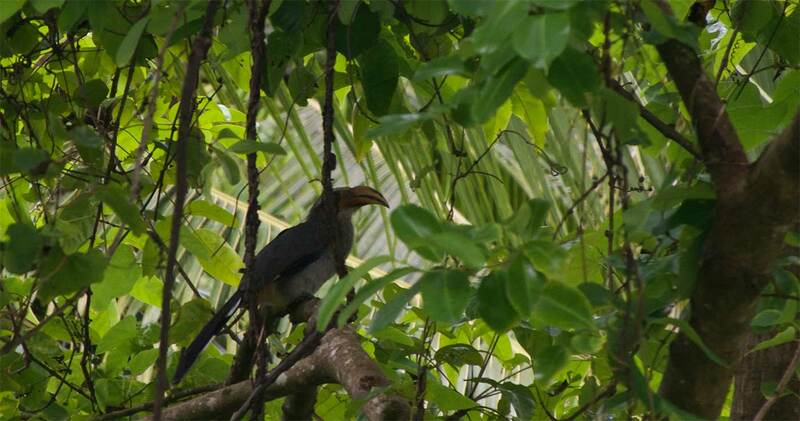 Nine of sixteen species of western ghat endemic birds have been reported from Goa. This swing is an early morning drive to the amazing Tambdi Surla, the most ancient Shiva temple of Goa. After breakfast we walk through Molem amidst dense forests of the Bhagwan Mahavir Wildlife Sanctuary, sighting some popular birds like Drongo, Emerald Dove, Fairy Bluebird, Golden Oriole etc. 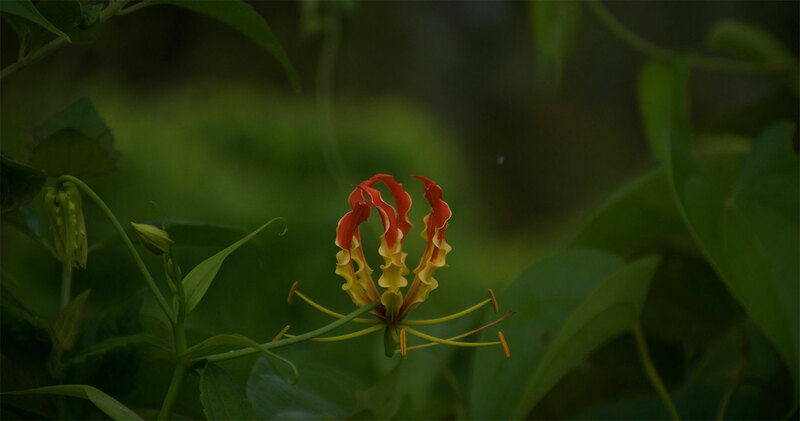 This little tour offers you a beautiful day amidst the wild with an amazing lunch awaiting you at the base of the trek. 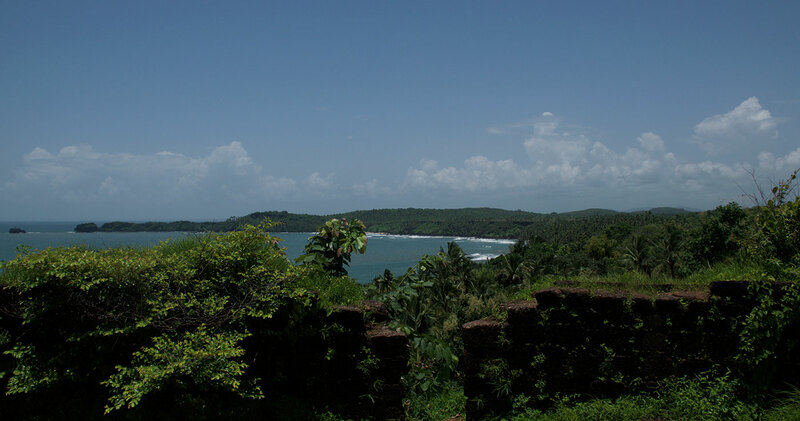 Come and explore with us a slice of the recent past of Goa and the impressions left by the Portuguese on its civilisation, architecture and cuisine. We start the day by visiting the historic city of Margao and its old market, a soulful mix of the cultural influence of the Portuguese, history prior to it and now. 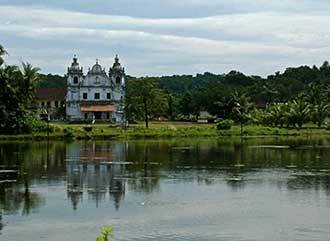 To get a peek into the house that was known as the corner of Europe, according to the late Aida de Menezes Braganza, we drive towards Chandor the ancient capital of Goa during the Kadamba Dynasty and walk into the home of the Braganza family. The mansion is replete with aristocratic statements and extraordinary valuables, most exquisite period furniture and finest porcelain. 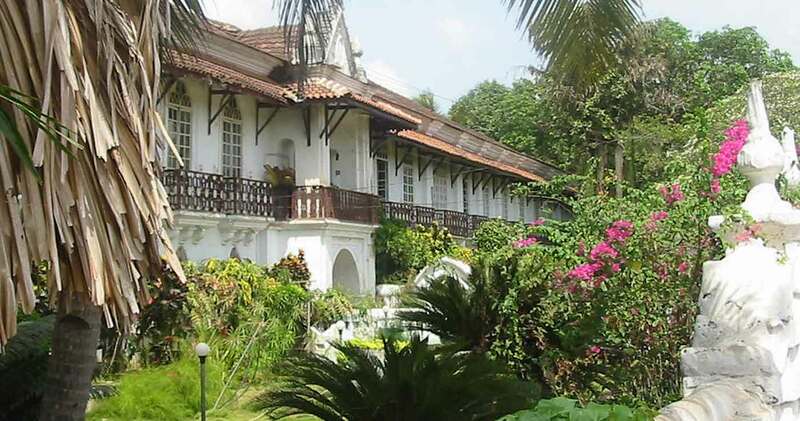 Soon we drive to Quepem to the PALACIO DO DEAO, a 200 year old mansion, where we are greeted by the most welcoming host who show us around and treat us to a delicious goan lunch prepared by the family. The Palacio Do Deao is surrounded by the most enchanted beautiful garden which seems to be transporting you to an ancient land.This unusual piece of architecture, blending Hindu and Portuguese culture, was built by a Portugese noble soul who was also the founder of Quepem Town. The river Kushavati flows by this marvellous piece of architecture. This outing has been designed to give our guests a Classic Goa Velha ,Old Goa feel along with the charm that contemporary Goa exudes. The trip starts with a drive to Panjim the capital of Goa. 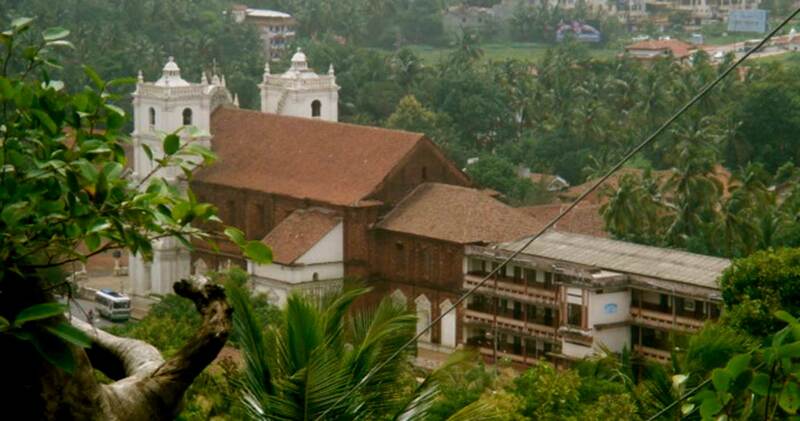 Panjim is one of the smallest, most beautiful capital cities in the country. 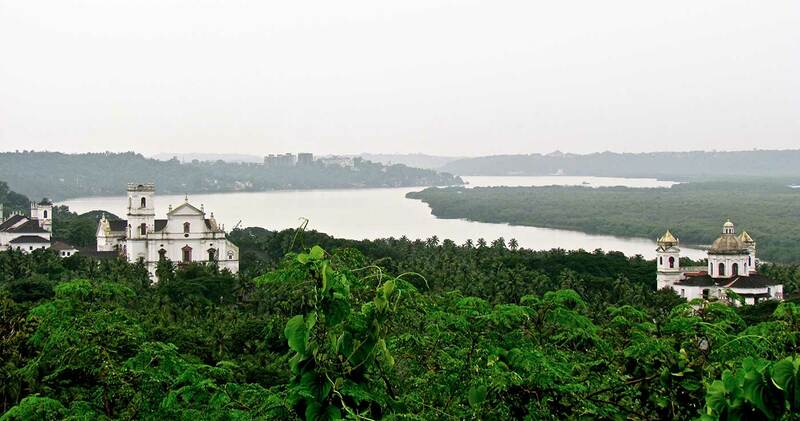 The tiny city thrives on the southern bank of the river Mandovi, where cruise boats and floating Casinos dot the river. A visit to the Latin quarters of the city takes you to Fontainhas, literally meaning a fountain. Here sun kissed old mansions, snow white chapels and churches, colourful old houses with terracotta tiled roofs and laid back smiling faces transports one to another world. After a brief stint in Panjim we proceed to Goa Velha and land at the majestic Basilica of Bom Jesus housing the relics of St. Francis Xavier.We walk tall beneath the vaults of the Se Cathedral, one of the biggest churches in this part of the world and visit the St. Cajetan’s Church which is believed to be the most beautiful amongst all churches. 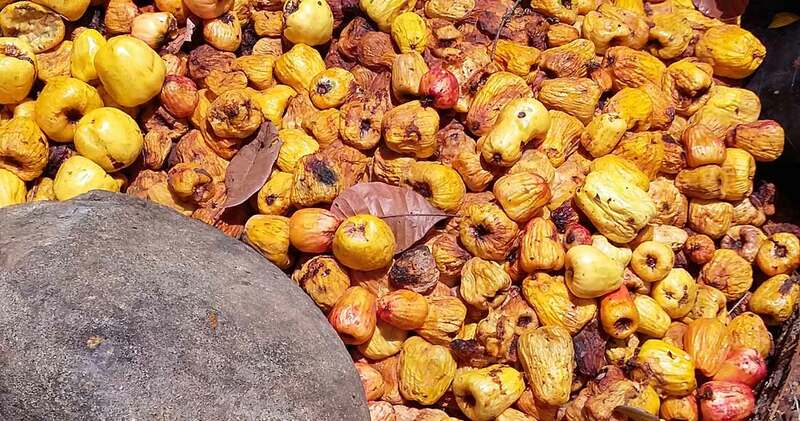 We then visit a cashew processing unit to get a glimpse of the story of the cashew nut, and know how it is treated, roasted and readied for consumption. We then drive through the rustic Goan villages, cross a network of bridges over calm waters, through regions exuding strong Hindu influences and enter the cool & shady spice garden. 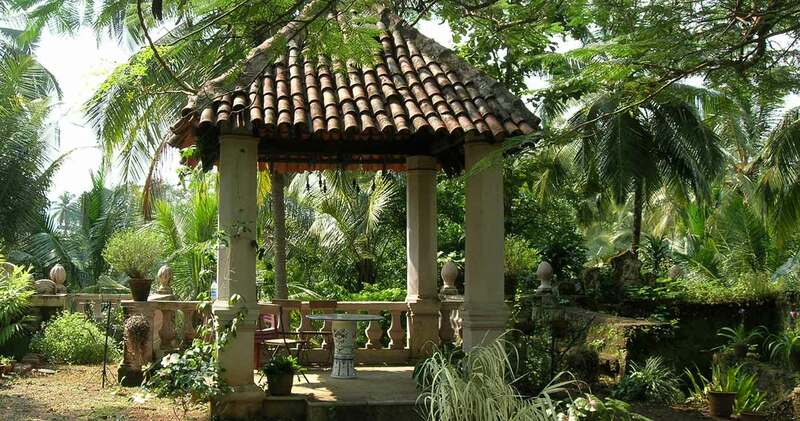 Enjoy a nice and pleasant walk through this exotic garden with tropical fruit trees and exotic spices. Fall in love with nature all over again. Enjoy the most authentic and mouth watering Goan lunch at the spice farm. 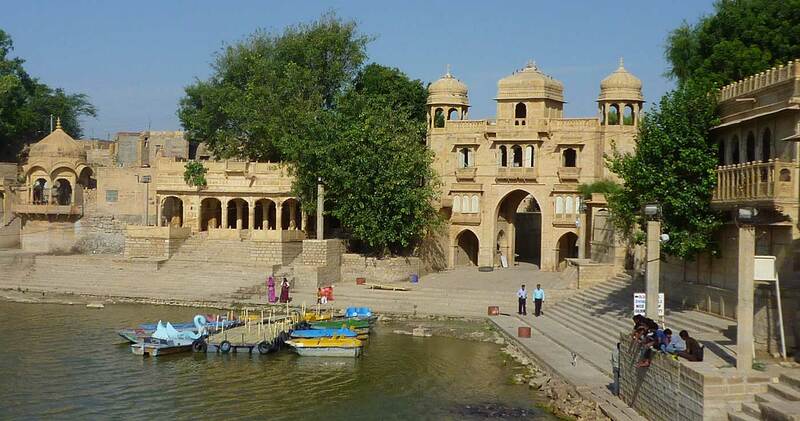 If time and energy permits we could wind up the trip with a visit to a picturesque little 400 year old Shri Mangesh temple, dedicated to Shiva built on a hilltop amidst sprawling farmlands, with its simple and exquisitely elegant structure. The Discover Goa trip aims to give our guests an authentic and ingenuous taste of Goa, far removed from the usual sight seeing tours. We initiate the trip by visiting Rosario the potter, who is one of the last remaining masters at the art of pot making and watch him shape his pots. Some other features of the swing consists of a drive along the Konkan coastline; a walk through a small traditional village in Betul, where the river Sal meets the ocean; a peek into a soreachi bhatti to see the transformation of palm juice into the exotic Goan Feni, a visit to the coir making cooperative where the adept hands of skilled ladies mold the husk of coconut into coir and then mats and carpets and more; a visit to the sixteenth century Cabo De Rama fort to steal a view of the ocean through the Sea eagles eyes. The afternoon takes us to the brilliant Palolem Beach for a relaxed lunch,…a dreamy swim, a drink and a blank stare at the ocean for those who like doing that before we slowly head back. 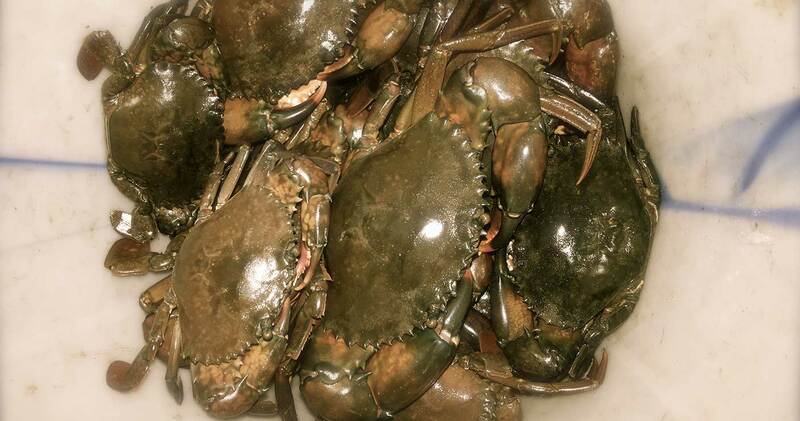 The crab fishing trip is a lazy late afternoon expedition. Park yourselves on a county boat and let us steer you through a quite river named, Sal. 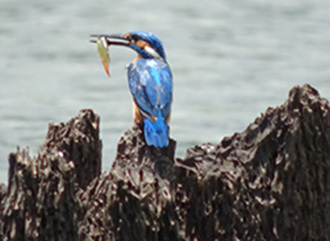 The cruise promises a number of bird sighting like the Kingfishers, Eagles, Cranes, Stork, Bats and more while passing through the mangroves. 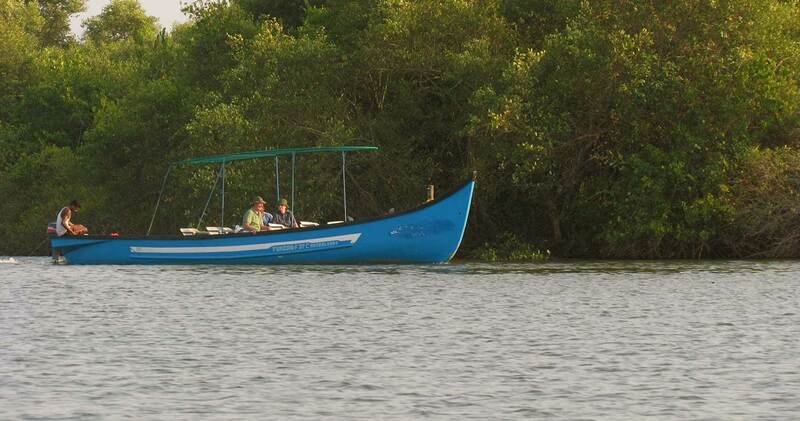 While sailing through, get a glimpse of the life of fishermen and the tropical vegetation along the river. 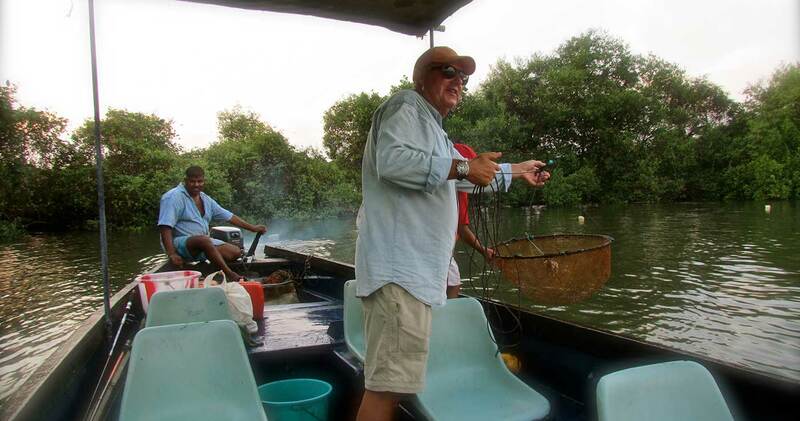 Whilst cruising try some fishing for crabs with handmade traps called cobllem in konkani. While the the trap rests at the bottom of the riverbed, you can relax, breathe in the surroundings, sip your beer or juice and watch the outside. As the sun is setting on the glorious river, you will be back to your hotel for dinner with your catch of the day. This swing is literally designed around the life of a fruit called the Cashew apple. We start the day by picking cashew apple in a local cashew farm. 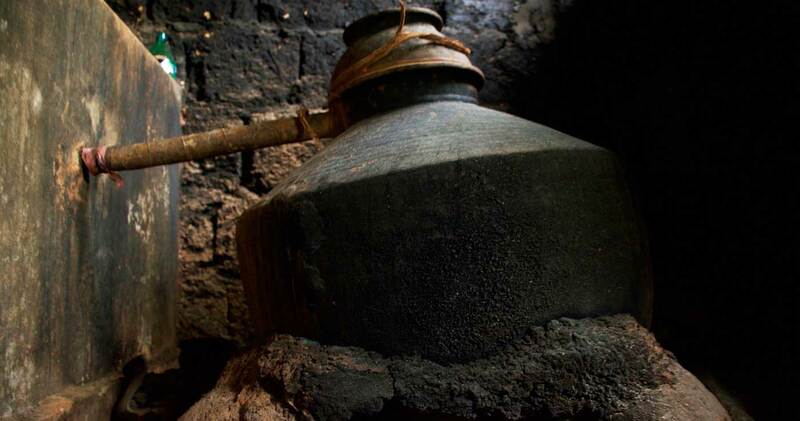 Then we slowly proceed through the day participating in and getting a detailed glimpse of the making of the exotic cashew Feni . 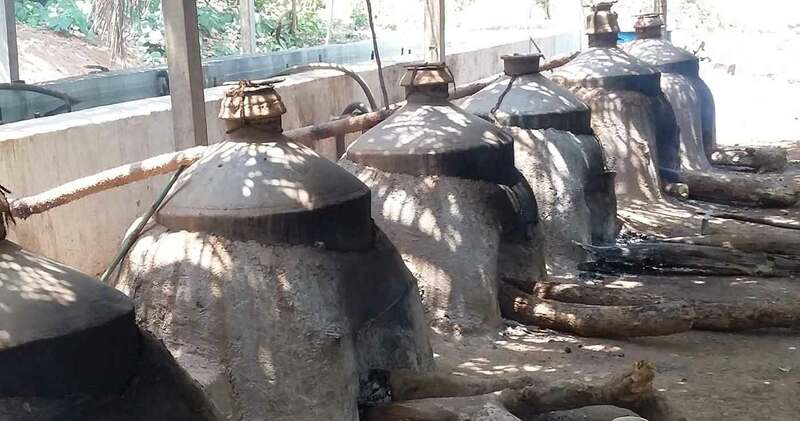 See how it goes through a couple of distillations, that are named the Urrack, the Cazulo or Feni. Then we move on to the story of the cashew nut, and know how it is treated, roasted and readied for consumption. 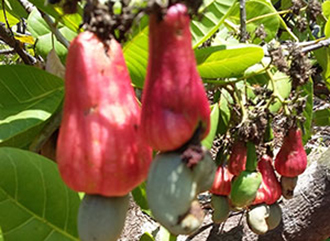 During lunch at the cashew Farm we are a little richer in knowledge about a Cashew apple and its extreme usefulness, not only in terms as a taste enhancer or for its nutritional quality but its extreme utility, till nothing is left to throw. 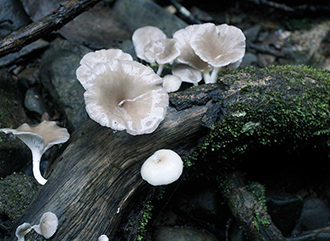 be aware of the thriving miniscule around you, treat your eyes to the mushroom blooms and purple crabs and enjoy the sound of the forest. 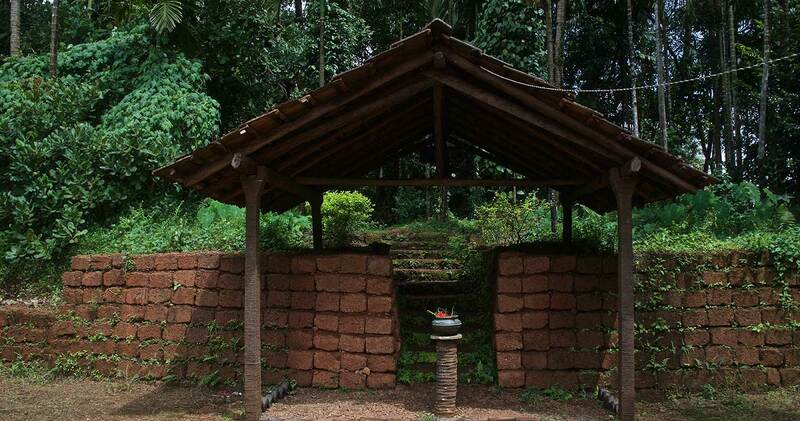 Back from the forest let us give you a unique experience to enjoy and cherish an authentic lunch with a Goan family whilst visiting their bountiful spice farm. On the way back we take you to visit an ancient magic pond, which keeps throwing up millions of tiny silver bubbles from its core at the clap of your hand. 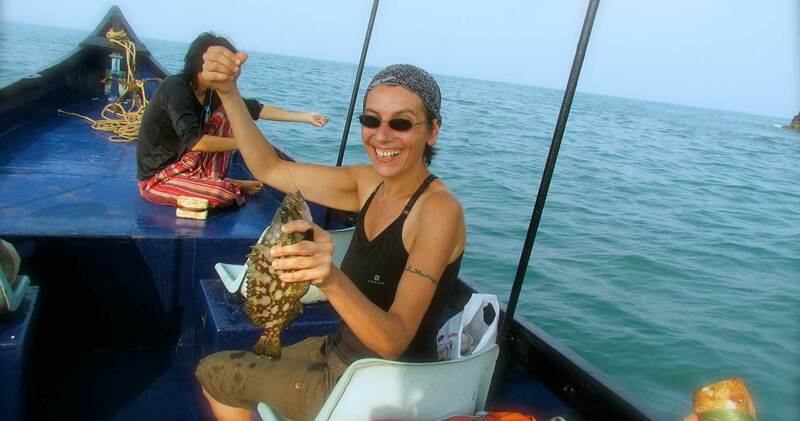 Fishing in the depths of the beautiful and the vast Arabian Sea is an experience unique and unmatched. We start this trip early in the morning and get in to the ocean by the way of the river Sal, through the mangroves, tropical vegetation on the banks, watching a number of birds, dilapidated forts, secluded beaches and more. If luck is on our side we could have the privilege of being escorted by some inquisitive dolphins to our anchoring point. The anchoring point gives us a magnificent view of the entire coastline. Red Snappers, Groupers, Carville, Barramundi, Threadfin , Barracudas, King Mackerels, Tuna, Bonitos, Perch, Reef Cod, Croakers, are to name a few which could be your catch for the day. All equipment and tackle are our worries. A relaxing swim and lunch on the shores with your catch is what follows your fishing expedition. Come, journey with us across this enchanting landscape of jungles and sand dunes, following wild tigers at Ranthambhor and camel trails to the famous camel fair at Pushkar. 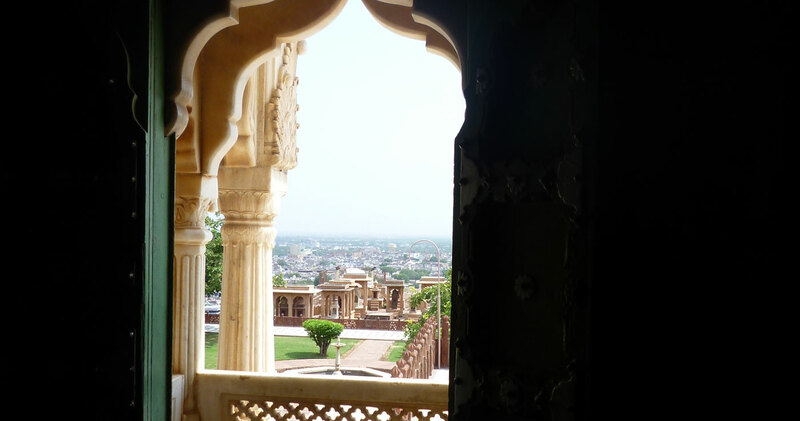 Travel back in time at the magnificent fort of Jaisalmer and soak in the blues as you watch the sun set over the blue city of Jodhpur from the high ramparts of the mighty Mehrangarh fort. 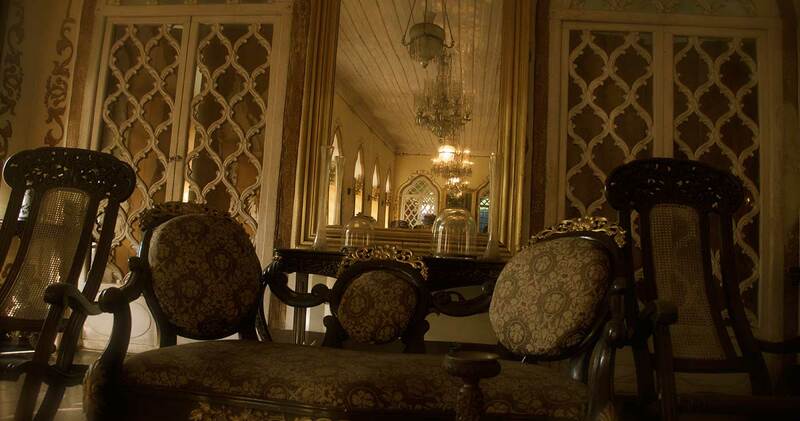 Check into the heritage and luxury of Deogarh Mahal near Udaipur or the Alsisar Haveli in Jaipur. Experience the curious mix of tradition and current events and inventions of modern life coming alive through the often whimsical murals on the extraordinary havelis of Mandawa in the Shekhawati region. We start the 7 days and 6 nights trip of Kerala with Fort Kochi, spending an afternoon visiting the highlights of the Dutch Palace, Jewish Synagogue and St. Francis Church. We bid adieu to the day while watching sunset over the picture postcard view of the Chinese fishing nets. In the evening we watch the colourful characters of ancient Indian epics come alive in the equally ancient Kathakali dance performed over an hour. We spend overnight at Fort Kochi. 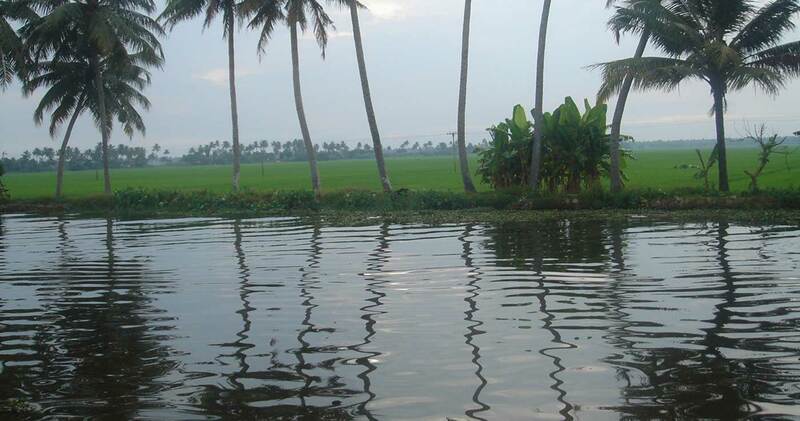 The day after, we take a 65 Km road trip to Alleppey, the gateway to the famous backwaters. 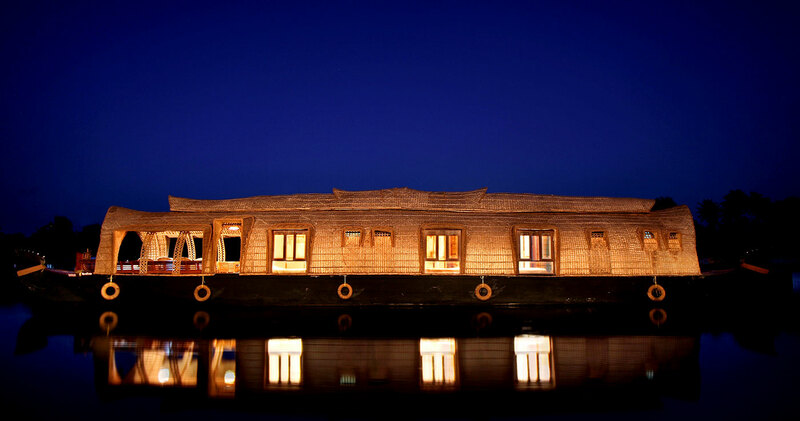 Soak in the richness of verdant nature around you, sighting fascinating bird life, as our houseboat meanders through the canals and lakes of the backwaters. A deliciously authentic lunch is served on board. In the evening we anchor at a quiet location and prepare for a charming dinner under brilliantly starry skies on board. 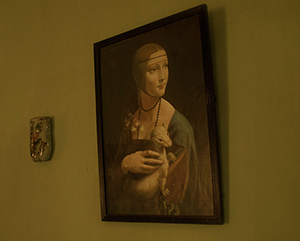 Tuck yourselves in comfortable beds and doze of peacefully to the sounds of the night. Next morning we are off to Periyar by road, and if making good time, we stop to check out a choir factory and a spice plantation en route. 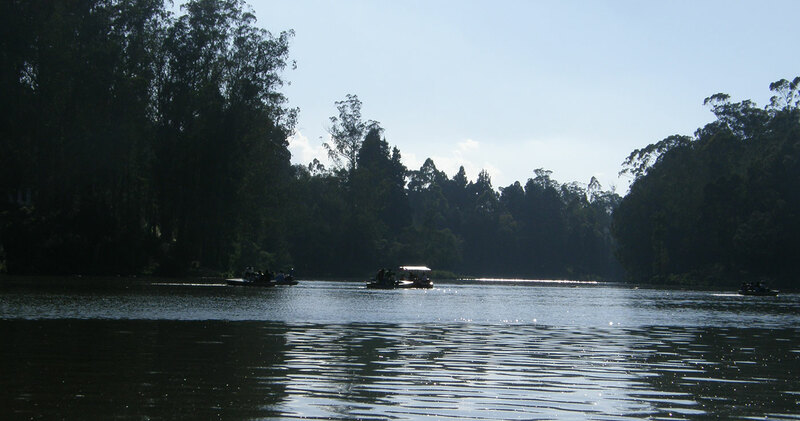 We spend overnight at a hotel in Thekkady adjoining the Periyar Sanctuary. Next morning after a hearty breakfast we head off for a longish boat ride on Lake Periyar sighting wild boars, elephants, bison, deer, otters and a variety of birds. 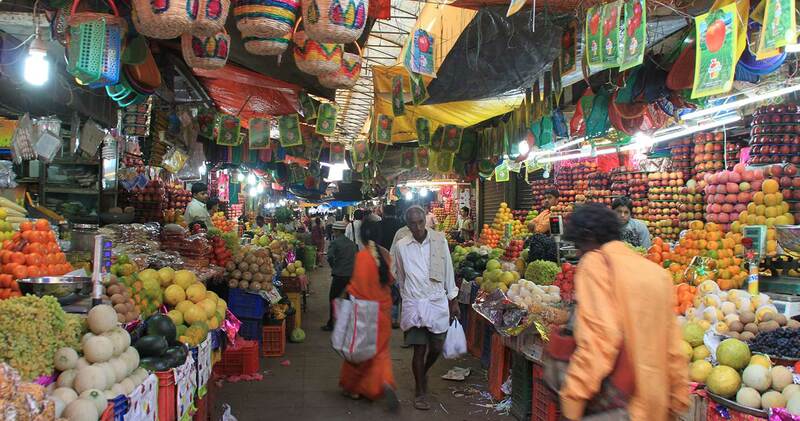 Later one can hang around in the quaint niceness of Periyar and a market full of aromatic spices. In the evening we are mesmerised by a dazzling performance of an ancient martial art called Kalaripayattu or Kalari. Ancient buddhist monks who travelled from India to China to spread buddhism are said to have taught these martial arts to the Chinese. 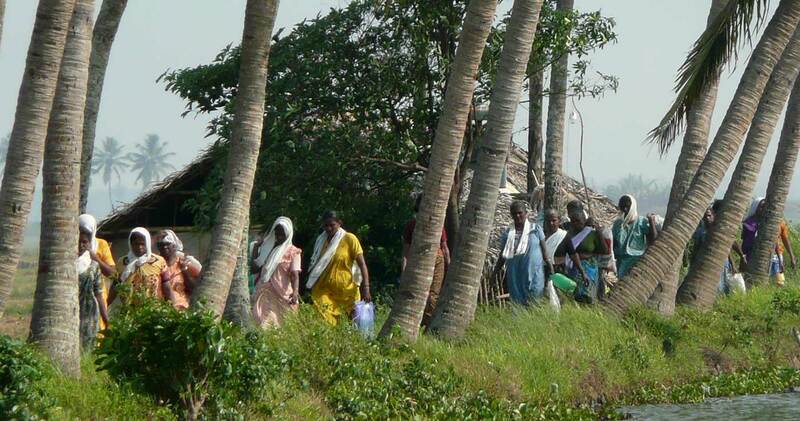 On day five, we set off for Madurai by road. It is a 3-4 hour long ride over dramatically changing landscapes. 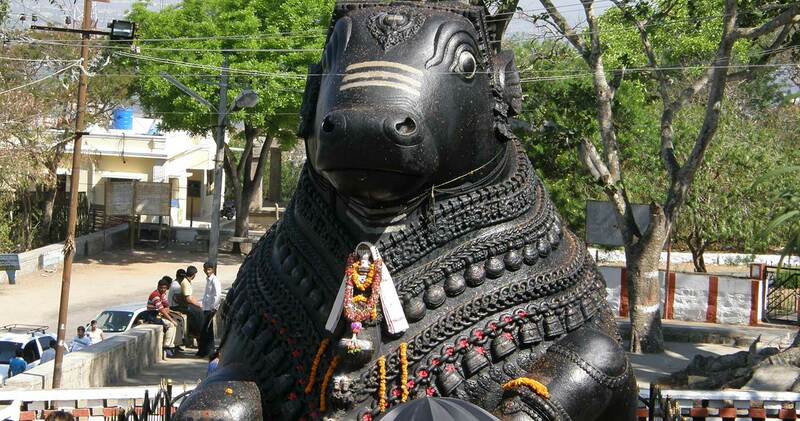 Today we visit the thousand pillared Meenakshi temple and its adjoining museum. Later we visit the Thirumala Naick Palace and museum. We go back to the Meenakshi Temple to watch the evening Arati ceremony or prayer offerings. After a peaceful night’s sleep, we have breakfast at the hotel and take time off to unwind and update our travel diaries on day six. Feel free to go shopping if you like. Later we are transferred to the airport for our flight to Chennai. We spend an evening in Chennai, enjoying an hour of Bharatnatyam dance performance at the Taj Connemara, followed by dinner. On the seventh morning, we visit the St Thome Church, Kapaleeshwar temple, drive past the Marina beach and the Fort Museum. If time and opportunity permit we try to fit in a visit to Kalakshetra, the famous residential centre of learning for Bharatnatyam, following the ancient tradition of the gurukul system. 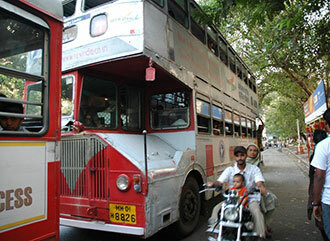 Later we are transferred to the airport for our flight back to Goa or to any preferred destination. 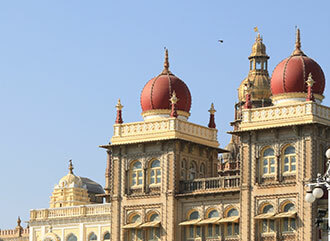 This is a short 3 night and 4 day tour of the Magnificent Mysuru and its surrounding Hill towns of Ooty and Cunoor. The trip starts with a flight to Bangalore and a road transfer to Mysore in the first half of the day and an afternoon free to relax. 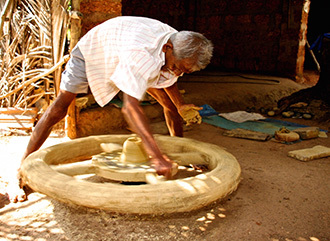 You could wander off shopping for silk, wooden toys, sandalwood etc., all specialties of Mysore. 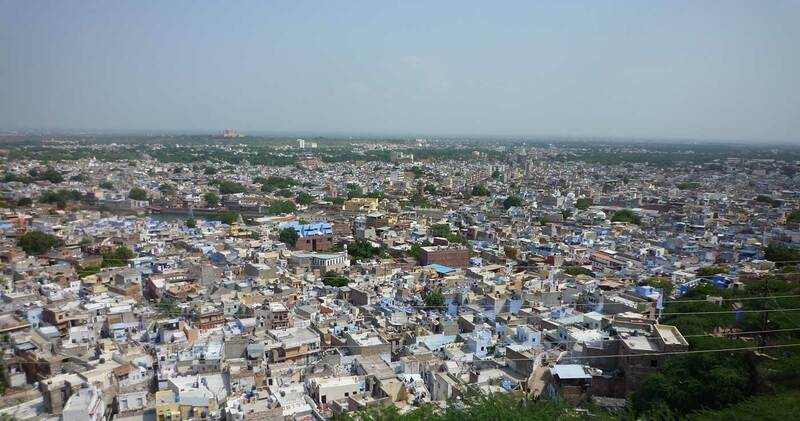 In the evening we drive to the outskirts to see the Vrindavan Gardens famous for musical and colorful fountains. Next morning begins with the Mysore Palace at its centre, its magnificent royal monuments, lavish gardens and royal heritage and then on to the Chamundi Hills. Then we make our way, by road, up to the more favourable climes of a lovely hill station, Ooty, locally called Udhagamandalam. A relaxed evening lies ahead. The morning after, we visit the botanical garden, tea gardens, and try to accommodate a toy train ride between a pair of stations and visit another quaint hill town called Coonoor. We spend the night in Ooty and move ahead to Bangalore via road. After spending the night at the hotel, we spend half the day sightseeing around Bangalore, visiting the Lalbhag Botanical Garden, Vidhana Soudha and Bangalore Palace. 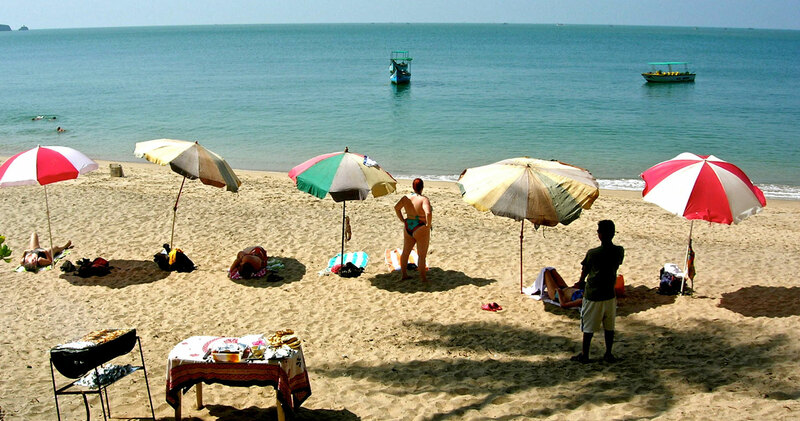 We depart by flight to Goa or to the destination of your choice. 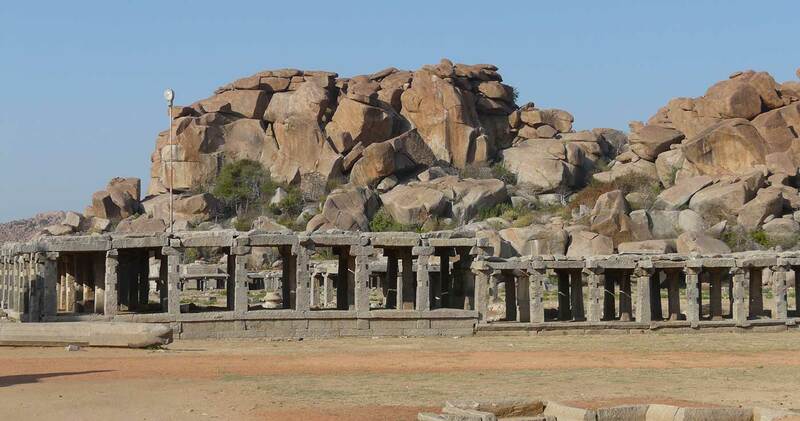 This is a short two days and three nights trip of the fabled and alluring ruins of Hampi dating back to the 14th century and Badami, an architectural extravaganza dating back to the 8th century. 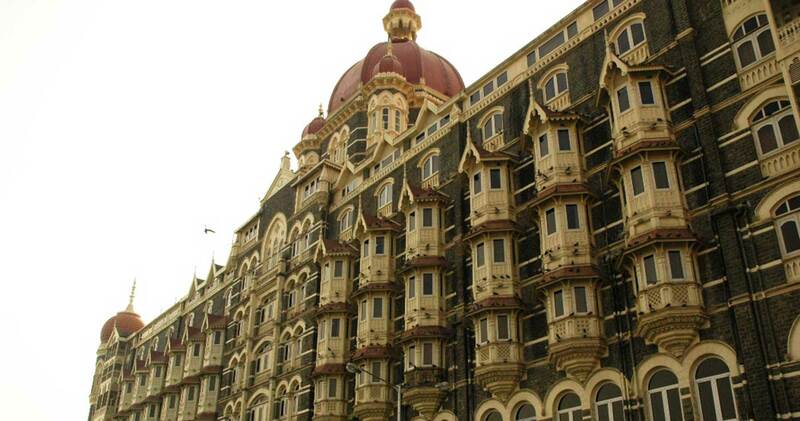 It includes your arrival at Hospet and a transfer to hotel, with a free evening by yourself. 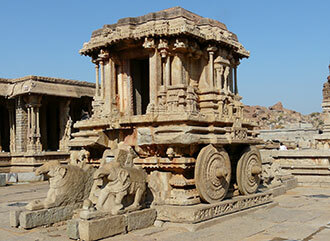 Next morning starts with a complimentary breakfast at the hotel and a full day visit to the beautiful ruins and monument complex of Hampi, a World Heritage site. Lose yourself in the historical richness, exuberant architecture and soak in the relaxed pace of this temple town and spend a while. 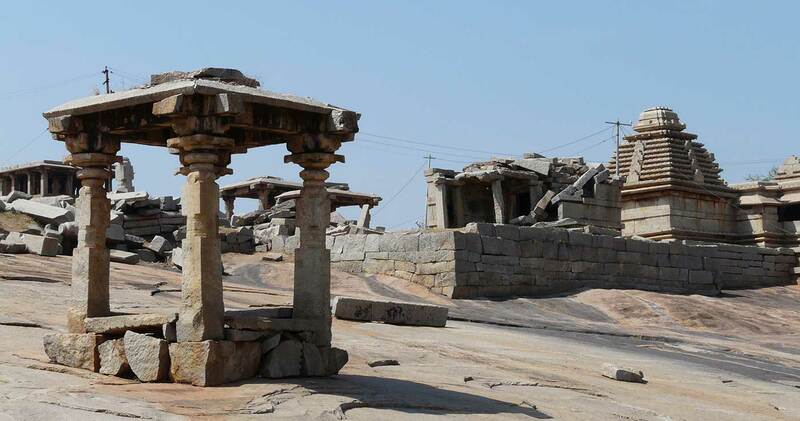 About 147 Kms Northeast on the NH13 from Hampi is Badami, once the capital of the mighty Chalukya Empire, between 6th and 8th century. 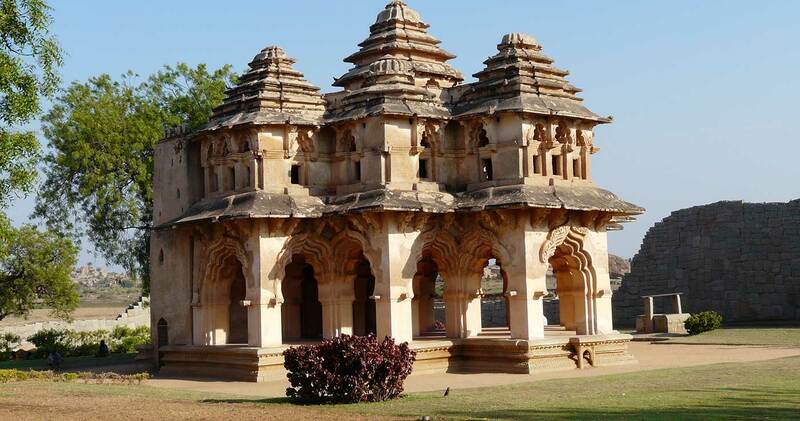 The morning next we leave for a road trip to Badami via Pattadakal, one of the early examples of temples created by finely carved stone and Aihole, which served as a school of architecture back in the days of the Chalukya Empire. The trip ends the next day with a transfer to your destination next morning after breakfast and an overnight stay in Badami. 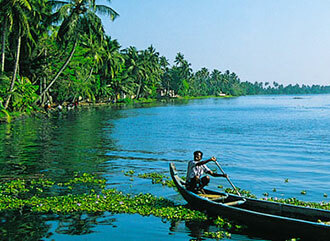 This is a six days and five nights tour giving you a glimpse of Kerala, also known as Gods Own Country. 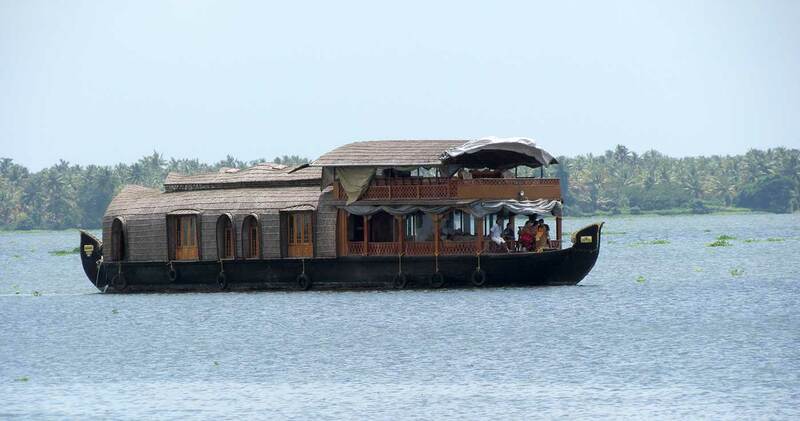 It covers historical Fort Kochi, the serene mountains of Munnar and the backwaters of Allepy. The tour fly’s you from Goa to Fort Kochi, with an evening to enjoy by yourself, maybe, walking around the quaint promenades of Fort Kochi, with the most modern and interesting graffiti’s and then sit in one of the many beautiful Arty Cafes around. 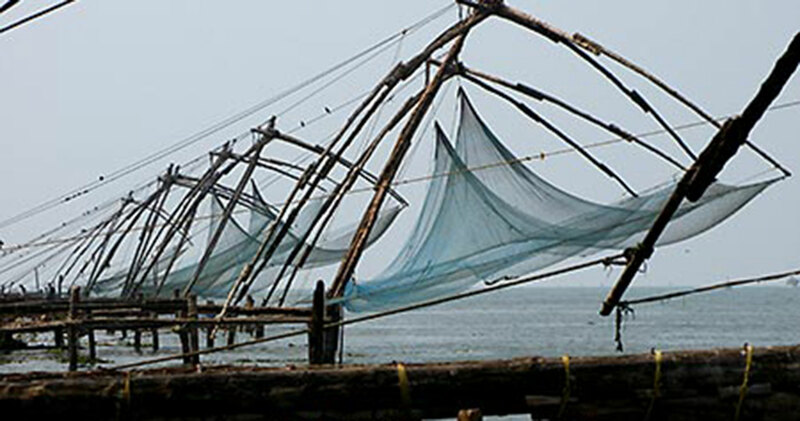 The next day we take you to visit the important places including Fort Kochi, Dutch Palace, Jewish Synagogue, St. Francis Church and finish off at the Chinese Fishing net by sunset. In the evening, you enjoy a dance drama show of the traditional Kathakali dance of Kerala. On the third day we move to the cooler climes of Munnar, home of the elusive Nilgiri Tahr. 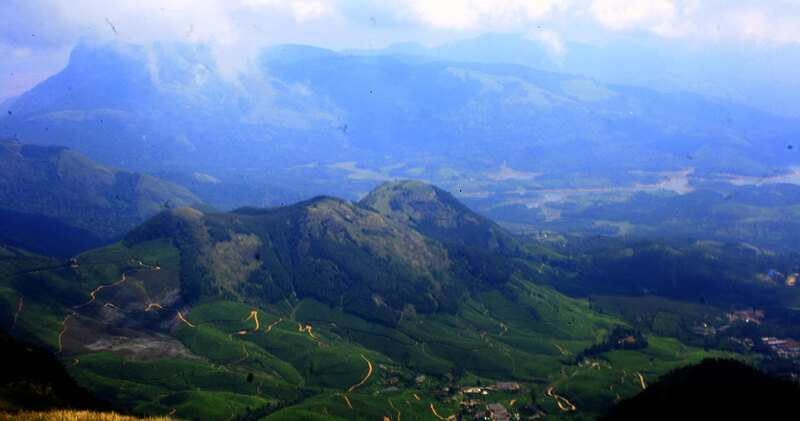 Spend two nights in Munnar enjoying the endless tea gardens, & visiting the Eravikulam wildlife sanctuary. 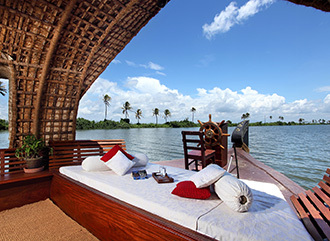 Then we move on to give you a glimpse of the beautiful backwaters of Allepy: a stay in a houseboat and a cruise through the backwaters of Pallathuruthy, Kanjipadom and Karumadikuttan. We will anchor at suitable places for lunch and have an onboard dinner and overnight stay under the star-lit skies.